British and American forces are integrated when the Armed Forces test ability to maneuver across great distances in Arctic winter. Joint Viking 2017 is a national Norwegian exercise, but includes some 700 soldiers from the United States Marine Corps, United States Army and the British Royal Marines. Starting on Monday, the main goals are to practice crisis management and the defense of northern Norway. 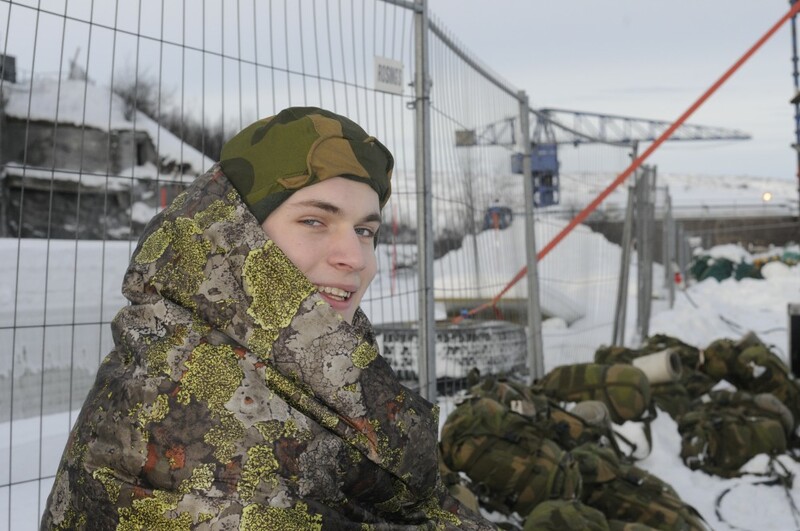 A total of 8,000 soldiers will participate, the majority deployed in Finnmark county in an area that stretches from Alta and Lakselv by the fjords to to the inland towns of Karasjok and Kautokeino. The exercise will not include East-Finnmark, Norway’s border areas to Russia’s Kola Peninsula. The Norwegian Armed Forces writes in a press-briefing that it is important to operate in natural and challenging surroundings in order to solve the missions in a best possible way. Finnmark offers demanding topographic and climatic conditions in addition to great distances, which give the soldiers an opportunity to practice logistical support to the units. Both the army, navy and air-force participate in the exercise that will go on until March 16th. Last autumn, more than 5,000 Russian soldiers with 500 armored tanks and vehicles took part in an powerful exercise in the Pechenga rayon, a few kilometers from the border to Norway. Pechenga houses the Northern fleet’s 61st Naval infantry brigade and the 200th Independent Motor Rifle Brigade. Norway is about to establish a new permanent Ranger Company to be based in Kirkenes, the border town. With 150 conscripts and 46 officers on contract, the Ranger Company will come in addition to the 600 military border guards that today are deployed along the 196 kilometers long land border to Russia.